1900: Deadliest in the U.S.
Hurricanes and other cyclones have carved devastating paths around the world for centuries — and they continue to wreak havoc despite vast improvements in the technology to predict and prepare for storms. Scores of people were killed when Hurricane Sandy plowed across Cuba, Haiti, the Dominican Republic and other Caribbean nations. 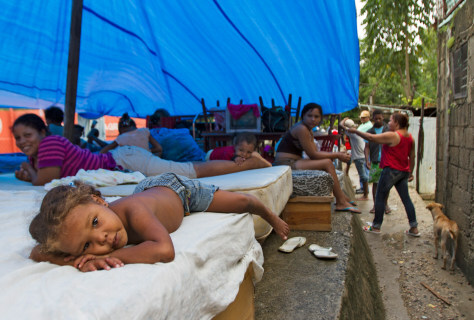 Thousands more were left homeless, including these children who took shelter in Santo Domingo. Click the "Next" arrow to learn about 10 more of the world's most notorious storms since 1970, plus the deadliest hurricane in U.S. history. 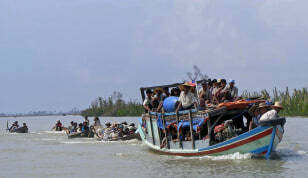 Cyclone Nargis swept over Myanmar (Burma) on May 2, 2008, with 120 mph winds and a tidal surge that smashed through coastal towns and cities. Survivors were jammed onto small boats in the wake of the storm. Entire villages in Myanmar's Irrawaddy Delta were flooded for days, and it was difficult for aid workers to gain access to the military-ruled Southeast Asian country. The death toll was estimated at more than 130,000. 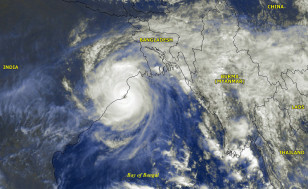 Tropical Cyclone Sidr slammed into southwest Bangladesh on Nov. 15, 2007, with peak sustained winds of 135 mph. Hundreds of thousands of homes were damaged, much-needed crops were destroyed, and an estimated 3,500 people lost their lives. 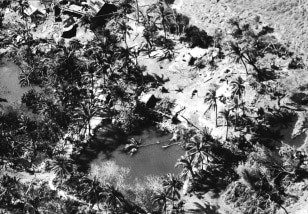 The death toll would have been much higher if the government hadn't evacuated more than 1.5 million people from low-lying villages before the storm made landfall. 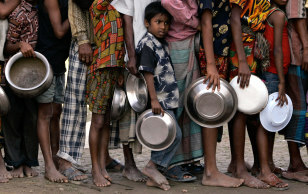 Pictured here, a boy waits for food with others at a relief distribution center. The infamous Hurricane Katrina hit the United States with a one-two punch. 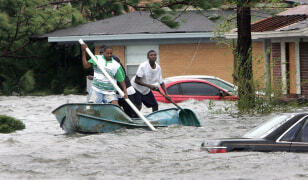 The storm first crossed southern Florida on Aug. 23, 2005, as a Category 1 soaker that caused several deaths. When it passed over the Gulf of Mexico, the storm, pictured here, blew up to one of the strongest on record — a rare Category 5 with maximum sustained winds of 175 mph. When Katrina made landfall on Aug. 29, the storm had weakened slightly but was no less costly. At least 1,836 people were killed. New Orleans was swamped, and much of the Gulf Coast was devastated. The super cyclone pictured here swept into the northeastern state of Orissa, India, on Oct. 29, 1999, with 155 mph winds. At least 10,000 people died in the storm. A 20-foot-high tidal wave traveled 12 miles inland across low-lying plains. Nearly 7,000 square miles of crops were destroyed. Torrential rains and record-breaking floods made roads impassable. Millions were left homeless. Hurricane Mitch unleashed a furry of wind and torrential rain as it raked across Central America from Oct. 29 to Nov. 3, 1998. At least 11,000 deaths in Honduras, Nicaragua, El Salvador, Guatemala and Belize are attributed directly to the storm, and perhaps several thousand more perished in the aftermath. More than 3 million people were displaced as several feet of rain sent mud racing down hillsides and wiped out entire villages, such as the one pictured here in Honduras. Before Mitch made landfall, the hurricane reached maximum sustained winds of 180 mph. Gusts topped 200 mph. On April 29, 1991, a cyclone struck the Chittagong district of southeastern Bangladesh with winds in excess of 150 mph. A massive storm surge and widespread flooding devastated low-lying coastal regions, such as the area pictured here. At least 138,000 people died, most by drowning. As many as 10 million more were left homeless. Researchers say many of the deaths could have been prevented if adequate warning systems had been in place. 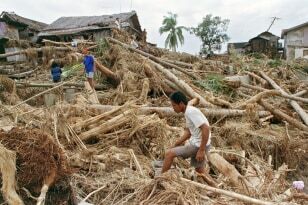 Tropical Storm Thelma, pictured here, killed an estimated 6,000 people as it swept across the Philippines on Nov. 5, 1991, making it the deadliest tropical cyclone in the Pacific island nation's history. A dam failure, landslides and extensive flash flooding contributed to the catastrophe. Ormoc City was the hardest-hit, in part because extensive logging had stripped the surrounding hills of vegetation. 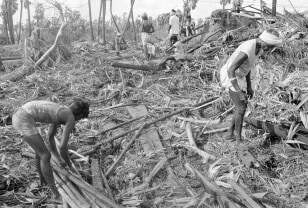 A cyclone struck the state of Andhra Pradesh in southern India on Nov. 19, 1977, bringing a 15-foot-high tidal surge and widespread flooding. Between 10,000 and 20,000 people were killed, and several million were rendered homeless. About 60 fishing and farming villages in the path of the storm were wiped out. 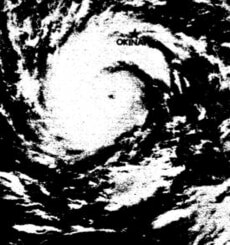 Super Typhoon Nina, pictured here, brought a short-lived gusher of epic proportions to China on Aug. 2, 1975. Nearly 42 inches of rain fell in a 24-hour period, the highest recorded on mainland China. The water volume caused the Banqiao Dam to collapse, which triggered the collapse of a series of smaller dams. In total, 61 dams burst. 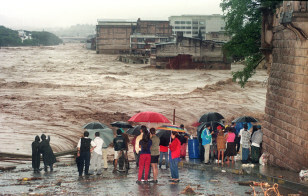 An estimated 170,000 people died in the floods. The Bhola cyclone is the deadliest storm ever recorded and one of the worst natural disasters in modern times. Up to 500,000 people were killed, primarily as the result of a 30-foot storm surge that flooded low-lying islands in the Ganges delta in modern-day Bangladesh. The Category 3 storm made landfall the night of Nov. 12, 1970. East Pakistan's handling of relief effort was highly criticized locally and in the international media, fueling a resistance movement that led to the creation of Bangladesh in 1971. A Category 4 hurricane that struck Galveston, Texas, on Sept. 8, 1900, ranks as the deadliest natural disaster in U.S. history. An 8- to 15-foot storm surge leveled the low-lying city, pictured here. Between 6,000 and 12,000 people were killed. 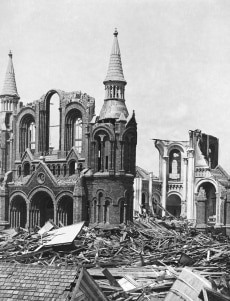 The few buildings that survived are tourist attractions today.